Some things are predictableâ€¦ sunshine on your wedding day isnâ€™t always one of those things. Here are my top tips for braving any weather the sky throws at you on your big day. Plan: You canâ€™t always secure perfect weather, but shooting for your ideal doesnâ€™t hurt! Check out sites like AccuWeather.com or Almanac.com for their long-range predictions. Embrace It! Seriously. 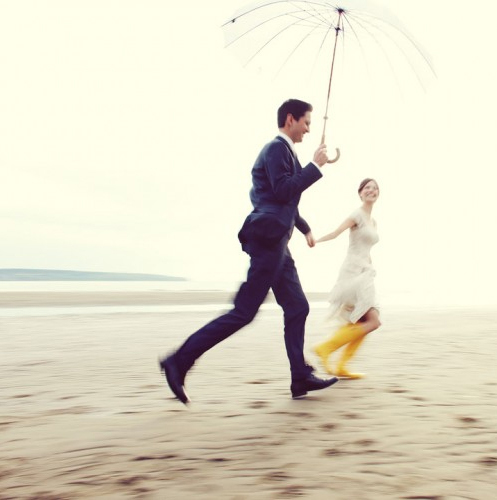 Weâ€™ve all heard rain on your wedding day is good luck, but itâ€™s also an awesome opportunity for truly memorable photos! Ask your photographer if they are comfortable with inclement weather and check out a few samples of their rainy-day work. Copyright 2012 TRIPmedia Group Inc. All rights reserved. From https://www.tripinfo.com.